Aston Villa Manager Paul Lambert has decided to end his reign in charge of the Villains after having spent the past two seasons at the club. After finishing fifteenth in the Premier League last season, Aston Villa had barely escaped the relegation zone. During the 2013 months, Aston Villa looked to secure a mid-table finish, but towards the end of 2013, Aston Villa's performances in the league and cup ties began to worsen, including an abysmal record at Villa Park. Because of these performances, Lambert received a lot of criticism from TV pundits and Aston Villa fans about his ability to properly manage the club, even though he had shown of his managerial ability earlier in the year by being able to keep striker Christian Benteke at the club, despite rumoured interest from bigger clubs like Chelsea. Because of the criticism and speculation about Lambert's future at Aston Villa, the Scotsman has decided to end his reign at Villa Park on his own terms, and has resigned from his role as Head Coach at Aston Villa mutually and with immediate effect. "I just felt like it was time," Lambert said during an interview. "A lot of people thought that Aston Villa could have done better last season, and my ability to lead the club was questioned at many different times, so I thought it would be best that Myself and Aston Villa would go our separate ways." Speculation is rife about who is to who will take Lambert's place as the Aston Villa manager, with notable Managers such as the currently unemployed David Moyes, who had recently been relieved from his role at Manchester United after their disastrous season, former Tottenham boss Tim Sherwood, who was sacked by the club at the end of the 2013/14 season, and even current West Ham boss Sam Allardyce all thought about as potential replacements for Lambert. Aston Villa officials have not said anything about a new Aston Villa manager just yet, and are ignoring all questions asked about the subject, leading to some rumours that the manager has already been decided. The Aston Villa fans were all sad to see Lambert go, and none have them have leaked anything about the boss just yet. Lambert's resignation comes as a shock to many fans, as he had only spent two seasons at the club, joining the Villains in 2012, two weeks after the sacking of former Aston Villa boss Alex McLeish. Aston Villa Manager announced to the World. Aston Villa Assistant Manager Roy Keane steps up to replace the outgoing Paul Lambert as Villains' boss. With the news of Paul Lambert's resignation as Aston Villa boss still being fresh in the news, it was unexpected to hear from Chairman Paul Faulkner that Villains' assistant manager Roy Keane, who joined the Midlands club in the summer of 2014, has been announced as Lambert's replacement. This news comes in relatively quick fashion, as Lambert had only handed in his resignation form a few days before Keane took the manager's position in the club, but Aston Villa chairman Paul Faulkner stood by his decision when asked about it. "When Roy first joined the club," Faulkner said during his interview. "We knew we had signed a member of staff with a lot of footballing experience, on and off the pitch. I believe that Roy can take this club forwards, as he has already worked with the squad and is known by the players, the fans and the backroom staff." The Aston Villa job is far from Roy Keane's first venture into football management, with the 43 year-old Irishman having spent time as the Manager of Sunderland and Ipswich Town, as well as being the current assistant manager to Martin O'Neill in the Republic of Ireland's national team as well as his role at Aston Villa. LIVE: Roy Keane's First Managerial Press Conference. Aston Villa have scheduled for 11:00 AM GM, where new Manager Roy Keane will answer numerous questions about his views as manager of Aston Villa. Live updates will be brought to you throughout the conference at Villa Park. 10:45 AM: Press agents from many different newspapers and other British media take their seats in the press room at Villa Park. 10:55 AM: Roy Keane(Head Coach), Paul Faulkner(Chairman) and Ron Vlaar(Club Captain) take their seats at their press booth in front. 11:00 AM: Paul Faulkner: Before we begin, I would like to say thank you and welcome to everyone who has taken the time out of their busy schedules to come and ask questions to our new manager, the man who I believe can help Aston Villa become a bigger and better club, Roy Keane. Now, if anyone has any questions to ask the new manager, please go ahead. Press: Ryan Cole of BBC WM here, Roy. Do you believe that yourself and the chairman have the same ambitions and opinions about the direction that Aston Villa is going? Roy Keane: I'm not prepared to answer that question, what Me and the Chairman talk about is private and I believe it should stay that way. Press: Roy, I'm Danny Cook from Sky Sports News. Do you believe that the expectations that you have been given are fair and realistic? Roy Keane: Yes, I think that if We aim high and keep our heads up, we can produce some shock results throughout the season and hopefully finish in a high position. Press: Malky Beveridge from TEAMtalk.com speaking, a question for you, Roy. Do you feel that your time working as Paul Lambert's assistant manager has given you and the players time to get used to one another? Roy Keane: I think that getting to know the players and what they're capable of last season will allows me to really focus on ironing out the difficulties that were visible last season in the friendlies that have been set for our pre-season matches. Press: Niall Rhodes from FourFourTwo with a question for you, Roy. Different managers have different styles of management, what would you say is your preferred style of management? Roy Keane: I think that a hands-on approach benefits the players, and I think a club works better together when the players feel valued as real people, and not just as footballers. So, I like to make sure my players know that the door to my office is always open, and that they can come to me whenever they want if they have a problem. Press(Niall Rhodes): Another question from me, this time for Ron. How do you feel about Roy becoming the new manager at Aston Villa? Was their some shock when you heard the announcement? Ron Vlaar: Well, I think some of us in the locker room thought that Roy would be the best choice as Paul's replacement. I mean, we all know him well from his time as assistant manager, and the fact that he knows our limits and how we play will benefit the squad, in my opinion. Press(Niall Rhodes): Final question from me, another one for Roy. Many managers have a specific competition that they want to focus on when they join a club. Are you going to focus your attention on the Premier League this season, especially after Aston Villa's performance last season? Roy Keane: Well, I don't think it's fair that I focus on one competition. In order to be a good team, we need to be balanced throughout every competition, from the Premier League to the F.A. Cup, so that we have an equal chance to win, so no, I won't be focusing on the Premier League this season because I will be focusing on all competitions. Press(Danny Cook): A question from me again for Roy. On the chance that some agents may read about this conference or may be listening, do you have an area of the squad that you want to particularly strengthen in the future? Roy Keane: I do not want to answer that question at this moment in time, but I will say that I am currently happy with my squad, and that all of them are fantastic players that deserve a lot of credit. Press: Adam McGarry from the Birmingham Mail here. Recent reports have detailed that you have an interest in Fulham's attacking midfielder Bryan Ruiz, and that it is widely expected that Fabian Delph will be leaving the club during the summer transfer window. Do you have anything to say about this? Roy Keane: I'm not prepared to discuss any transfer stories today. 12:00 AM: Paul Faulkner: That question concludes today's conference. Thank you again to everyone that asked questions and took the time to come to Villa Park today, thank you. New Aston Villa boss Roy Keane has reportedly set his sights on signing English defender Dan Burn from Championship side Fulham. Aston Villa and Fulham are both in talks about potentially bringing Burn to Villa Park on a permanent transfer deal, and sources have shown that The Cottagers have rejected an initial sum of £3 million pounds from Aston Villa for the defender. Burn, who joined Championship side Fulham in 2011 from Division One North side Darlington for a fee of £350,000, has spent the past two seasons away from Craven Cottage, having been playing for both Yoevil Town in 2012/13 season and Birmingham City in the 2013/14 season. Although he refused to comment on it during the Press Conference yesterday, it is shown now that Aston Villa manager Roy Keane has shown the intention to strengthen his defence even more, despite the likes of Ron Vlaar, Ciaran Clark, Jores Okore and newcomer Phillipe Senderos already in the position. Defender Phillipe Senderos also joined Aston Villa from Championship side Fulham this season, following the Cottagers' relegation to the Championship. Dan Burn looks to be a perfect backup signing for Aston Villa, as the 22 year-old is capable of playing his preferred role of centre-back, but can also move in to cover the left-back position as well, in case current favourite Antonio Luna or fellow new signing Kieran Richardson, also signed from Fulham, take on injuries or suspensions. Two major deals happened today at Villa Park, with midfielder Fabian Delph joining Liverpool, and Dutchman Kees Kwakman joining Villa on loan. As the transfer window starts to become busy with big names travelling all over the globe, as the likes of Antoine Griezmann heading to Manchester City from Real Sociedad for £25 million pounds, Aston Villa boss Roy Keane has entered the fray with a brilliant signing and unexpected leaver. Fabian Delph, 23, joins fellow Premier League club Liverpool for a fee of £7.25 million pounds, having handed in a transfer request following the first two offers of £5 million pounds and £6.5 million pounds were rejected by the Villains. Many fans suspected that Delph and Keane had a disagreement about Delph's future at the club, which ultimately led to Delph handing in his transfer request. Roy Keane's first signing for the Villains, 31 year old Kees Kwakman, pictured here playing for Dutch club NAC Breda. In other transfer news, Dutch midfielder Kees Kwakman has joined the Aston Villa squad, and is a very experienced player, having played for teams like NAC Breda, FC Groningen and FC Augsburg during his time in the Netherlands. Kwakman joins Aston Villa on loan from South African club Bidvest Wiks, which Kwakman himself had joined during the January transfer window this year from Dutch outfit NAC Breda. Kwakman expressed his happiness to be playing in a league like the Premiership, and hopes to help Aston Villa achieve the success it once had. "Playing for Aston Villa is a big honour. I had heard about this team whilst playing in The Netherlands, and I heard about the success that they once had in the European Competitions. I hope that I can play some sort of part in getting Aston Villa to the top, and I'm thankful that the manager has given me this chance." When interviewed about his signing, Roy Keane showed his great respect for Kwakman and his ability and experience. He believes that although Kwakman isn't the youngest player that he could've signed, Keane said that Kwakman has a lot of experience from playing in the Eredivisie and that he shows great leadership. "When I was creating my shortlist of transfers, I looked at candidates that perhaps would be looked over by some managers. Yes, Kees might not be the youngest pick, but I think that Aston Villa has a lot of good, young talent and not enough global experience. Many of these players have not played for teams outside of England or Scotland, and bringing in such a good international players such as Kees will, in my opinion, benefit the team as a whole. Kees Kwakman becomes Roy Keane's first adventure into the transfer market, and with the deal for Fulham's Dan Burn nearly done and completed, with a £6 million pound deal already agreed upon, it looks like Kwakman will not be the only one to be signed by the Irishman. Dan Burn has finally completed his transfer to Aston Villa for a fee of £6 million pounds, whilst Middlesbrough Winger Emmanuel Ledesma joins the Villains for the price of £2.5 million. 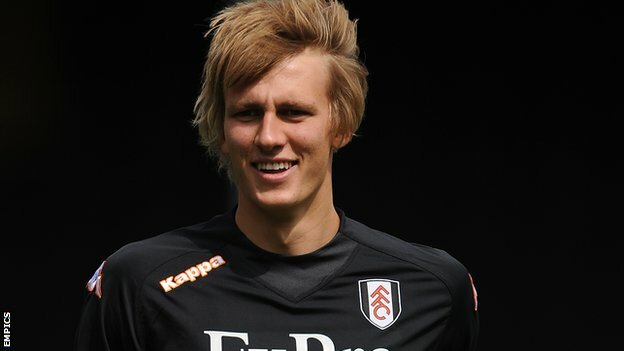 Fulham acknowledged the departure of the 23 year-old defender on the club's official website saying that a fee of £6 million pounds had been agreed upon by both clubs and that Burn and his agent had already met with the chairman. Burn completed his medical examination and signed his contract a few hours later at Bodymoor Heath, Aston Villa's training ground, before shaking the hand of his new manager, Roy Keane, and had his picture taken holding the claret and blue shirt of Aston Villa. Burn joins Dutch midfielder Kees Kwakman, who recently joined the Villains on loan from South African club Bidvest Wiks, who Kwakman joined in the January transfer window, having been released from his NAC Breda contract at that time. Burn said that it was an honour to join such a club with such a large fanbase and history. When the bid was made by Aston Villa, I already made up my mind. I mean, Fulham was a great experience, but after spending time out on loan to two Championship sides, I thought a move to a Premier League side, especially one full of great players and famous history such as Aston Villa, would help my career in the process. 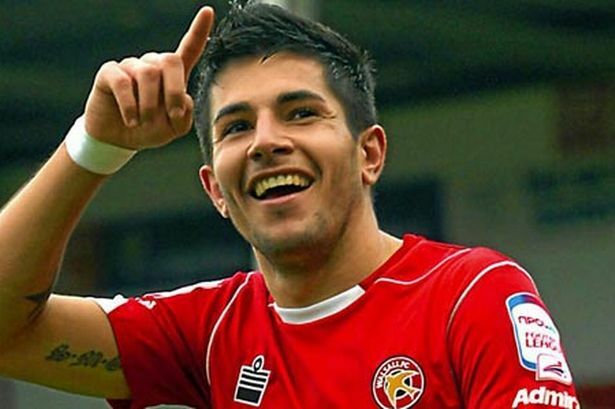 Former Middlesbrough Winger Emmanuel Ledesma, who signed for the club on a free transfer in the summer of last season, has joined the Villains on a permanent transfer thought to be around the fee of £2.5 million pounds. Ledesma, 26, joins the likes of Andi Weimann, Charles N'Zogbia, Joe Cole and Gabriel Agbonlahor in the rotation of Ledesma's favoured positions, allowing Villains boss Roy Keane a wide range of wingers/attacking midfielders to choose from, should one get injured. Aston Villa have completed the signing of Celtic's twenty-one year old Welsh right-back Adam Matthews for the fee of £1.9 million pounds. Subject to conditions within the agreement, however, the transfer price will eventually rise to £2.3 million pounds. Also, Cardiff City will receive 3.0% of the transfer fee as a contribution as part of the deal. This amount adds up to around £58.3 thousand pounds. Matthews, 21, was part of the Celtic side that were crowned as Scottish Premiership champions in the 2012/13 season. Matthews joined Celtic from Welsh side Cardiff City on a free transfer in the 2011/12 season, and quickly became the club's favoured right-back. 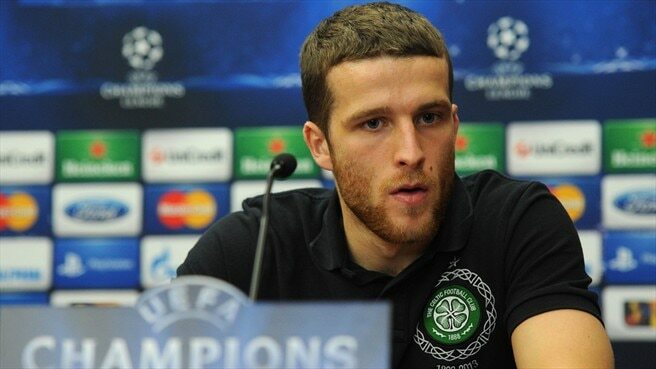 Adam Matthews playing for Celtic in the Scottish Premiership during the 2013/14 season. The arrival of Adam Matthews has been met with a positive impact from the club's fans, who were delighted with the transfer of the right-back. Aston Villa supporter spokesperson Jordan Lane revealed that the deal was considered a coup and that Celtic should have commanded a higher transfer fee from Aston Villa for the player. To kick off the start of the Premier League 2014/15 season, Aston Villa take on last season's Premier League Champions in Manchester City, with both teams hoping to grab the three point heading into their next game. Manchester City have brought in some majestic signings over the pre-season period, with Liverpool midfielder Jordan Henderson joining City for a fee of £18 million, whilst French winger Antoine Griezmann joins the club from Real Sociedad for the price of £25.5 million. Aston Villa, on the other hand, have made some signings to bolster their ranks. With the likes of Kees Kwakman, Adam Matthews, Dan Burn and Emmanuel Ledesma joining the Midlands side, and only one man leaving Villa Park in Fabian Delph, who moved to Premier League runners-up Liverpool for a fee of £7.25 million. Sergio Aguero will be a big player for Manchester City this season, with 4 goals already for the club during it's pre-season tour, it looks like Aston Villa's defence will have to watch out for the Argentine. Aston Villa have had a decent pre-season period, with their only blemish on their pre-season record being a humiliating 0-4 loss to French side AS Monaco to open up their pre-season tour. Other than that, Aston Villa have racked up wins against teams like Sevilla, Evian TG, Falkirk and Woking. Manchester City's pre-season tour has had no defeats on the sheets, with the worst match being a 1-1 draw against German side VfL Wolfsburg. Player-wise, Aston Villa's defence will have to be in top-notch form if they are to have any chance in stopping players like Sergio Aguero, Edin Dzeko, Stevan Jovetic, David Silva and many others in Manchester City's arsenal. Meanwhile, Manuel Pellegrini will have to keep his defence focused if they are to shut down the likes of Christian Benteke, Andi Weimann, Gabriel Agbonlahor and new boys Joe Cole and Emmanuel Ledesma. Both teams have almost clean sheets of health, with Gael Clichy looking doubtful to be fit for the game due to an injury he picked up over the pre-season, whilst Aston Villa's Ashley Westwood looks to be out for another month at the earliest due to tearing his hamstring. Both teams have dreams of success, but will Villa be able to storm the City and claim the Gold, or will Manchester City simply put the Villans in jail? Find out on Sunday, 18th August 2014! You are reading "Aston Villa - The Villains' Rise".